UPDATE 3.0*: Now your path of stars comes with a new brand set of 28 textures. This product comes in 2 versions: Copy version and a Fatpack Mod&Copy version. This pack includes the last one. 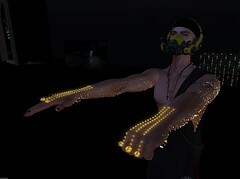 Posted in E.V.E Studio, Mod and Copy items for builders and artists, News, Second LifeTagged fireflies, hud, mod and copy, path, stars, updatesBookmark the permalink.